1. Is a Pension Taxable at the Same Rate As Ordinary Income? 2. Is California Pension Income Taxable Outside California? After contributing to a pension throughout your career, it's not unreasonable to assume that you are looking forward to an enjoyable quality of life during your golden years. For many individuals, a pension represents a path toward financial independence during retirement that will allow for the pursuit of hobbies, passions and personal satisfaction that may have been in short supply throughout most of adulthood. Although pension contributions do provide a valuable source of income during retirement, it is essential for retirees to understand if and when taxes will be imposed on these funds. Given the wide variety of retirement accounts today, it can initially be somewhat confusing as to the tax status of your retirement funds. With that in mind, taking the time to identify your tax responsibilities for each source of pension income you receive can help resolve any nagging questions you may have. Armed with this information and a pension tax calculator, you can quickly estimate your yearly tax burden on pension income. Taxes on your pension income will vary considerably based upon the specific retirement account format being used. For example, if you are using a Roth 401(k), you will not be forced to pay taxes on withdrawals since taxes were already paid at the time of contribution. Similarly, Roth IRA distributions will not be taxed. As mentioned previously, there is no uniform tax rule on retirement accounts. Depending upon the specific accounts you have contributed to you as a working adult, you may or may not owe additional tax when pension withdrawals begin. If you or your employer have been adding funds to a defined-contribution employer pension plan, then you are one of countless working adults who have been developing a 401(k) retirement account. Income is contributed to a 401(k) account on a tax-deferred basis. This means that both you and your employer will not be responsible for paying taxes on this income at the time of contribution. Instead, taxes will be paid on each withdrawal made from the account once the withdrawal eligibility period begins. However, you may be given the option to contribute to a Roth 401(k), which carries noticeably different tax rules. Under the Roth 401(k) guidelines, income will be taxed prior to being placed inside of the account. Because of this, pensioners will be able to make tax-free withdrawals from their Roth 401(k) as soon as their eligibility period begins at age 59 1/2. The distinction between "traditional" and "Roth" types of pension plans also applies to individual retirement accounts, or IRAs. IRAs act as a form of pension scheme that exists outside of your employer. Individuals can contribute to an IRA as they see fit throughout their adulthood, irrespective of their current form of employment. IRAs are suitable for both fully employed individuals as well as freelance contractors seeking to develop a stable platform for their future. Whereas funds contributed to a traditional IRA are deposited into the account on a tax-deferred basis, individuals contributing to a Roth IRA will pay tax on these funds prior to the deposit. After making their deposit, individuals holding a Roth IRA can withdraw their invested principal at any time without incurring penalties. Any discussion of the taxes associated with retirement accounts should also include information detailing the regulations associated with the contributions themselves. Each specific retirement account maintains its own maximum contribution limits. For example, individuals cannot contribute more than $6,000 per year to an IRA for tax year 2019, while 401(k) accounts feature a maximum contribution limit of $19,000. 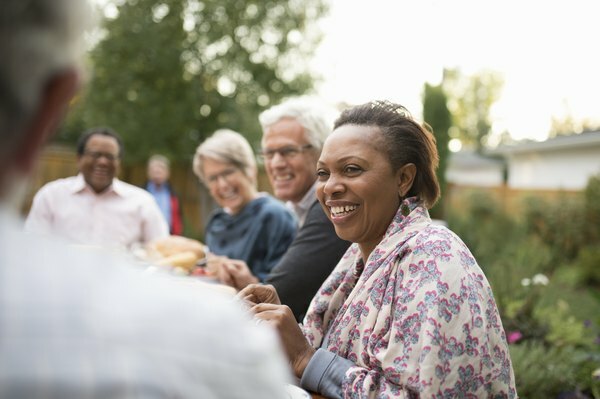 After the age of 50, a "catch-up" period begins in which individuals can contribute an additional $6,000 to their 401(k) annually, as well as an additional $1,000 to their IRA. When contributing funds to a Roth IRA, your income level will also play a large role in determining the amount of income you are eligible to contribute to this retirement fund. For tax year 2019, the maximum amount that can be contributed your Roth IRA will begin to diminish as soon as your annual income exceeds $122,000. If your income reaches $137,000, you will no longer be able to contribute to your Roth IRA at all. For both employer-sponsored pension plans and IRAs, certain penalties will apply if an individual decides to withdraw their retirement funds before the eligibility period begins. For example, if you decide to withdraw funds from your 401(k) prior to the age of 59 1/2, you will be forced to pay a 10 percent early withdrawal penalty on the sum in question in addition to any income tax that particular amount of money generates. Likewise, you have been contributing to an IRA plan, the identical 10 percent penalty will apply for any withdrawals that have been made prior to the age of 59 1/2. There are some specific exceptions to this rule, however. Some individuals may begin withdrawing funds from their IRA early in the event of qualifying circumstances, such a medical-related expenses. For those individuals who have chosen to contribute to a Roth IRA, the contribution itself may be withdrawn at any time without penalty. An early withdrawal penalty will only apply to income that has been generated by the Roth IRA over the years. With these ideas in mind, it may be worth your time to create a retirement worksheet that lists all of your known expenses as a pensioner. This information will allow you to properly evaluate the amount of income you may need to withdraw from your IRA or 401(k) plan on annual basis in order to sustain your quality of life as you see fit. Keep in mind that the tax rates you will be charged during the withdrawal period may vary significantly compared to where they are today. This is one of many factors to consider when planning your retirement and ensuring that you have the resources available to sustain yourself during this period of your life. As you can see, there is no shortage of important considerations when it comes time to assess your annual tax burden during your retirement years. That being said, you are not alone when it comes to developing a strategy for your golden years. With the assistance of a financial advisor or a retirement planning professional, you can quickly begin identifying key areas of focus with respect to your retirement accounts, namely how much money you should plan on withdrawing annually and how much tax you will be paying on these sums. With this additional assistance, you can take advantage of the knowledge you have gained and use a taxes on retirement income calculator to ensure that you won't end up in a financially adverse situation in the years to come. Investopedia: How Is Your 401(k) Taxed When You Retire? Is Military Retirement Income Taxable in North Carolina?